Come join us for some yummy, vegan baked goods including cinnamon buns, cupcakes, loaves, cookies and more! All the proceeds will be donated to Animals Asia, Zoocheck, and The Save Movement. 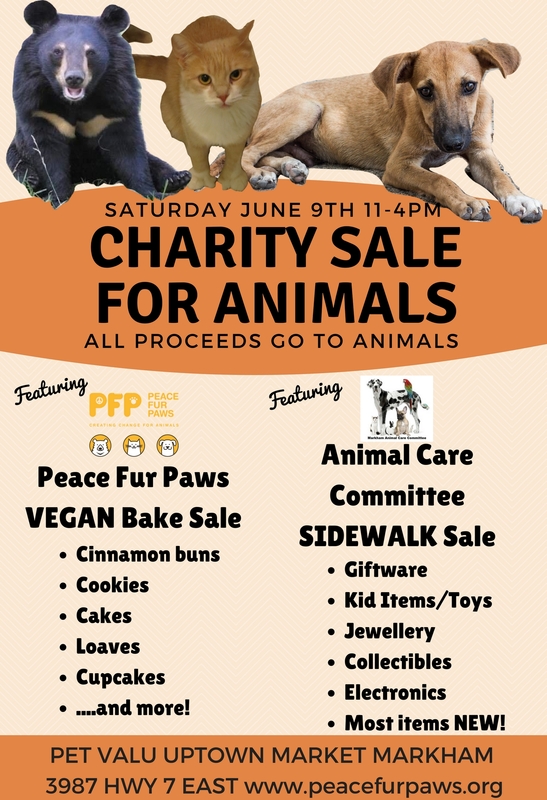 The Animal Care Committee from the City of Markham will also be having their amazing Sidewalk Sale to support the welfare of wildlife and domestic animals. Next Next post: Eating Vegan Has Never Been Easier!